For the millions of Americans who struggle with getting relief from debt, finding answers could come with discussing your situation with an attorney focusing on bankruptcy. The initial step does not have to involve speaking to a compassionate bankruptcy lawyer; however, talking with the office of Richard Weaver could help you make sense of the situation. Richard Weaver is an experienced attorney who does not usher everyone into bankruptcy. Instead he has developed a reputation as a leading Fort Worth bankruptcy attorney over the past three decades since 1987. Over that time, his team has helped clients throughout the Fort Worth area including many of the surrounding unincorporated and incorporated cities like Benbrook, Burleson, Edgecliff Village, Forest Hill, White Settlement, Crowley, and more. Texans who are facing foreclosure can often benefit from learning about a powerful protection afforded to them through chapter 13 bankruptcy. While not the correct solution for all, filing ch 13 bankruptcy could help them to keep their homes out of foreclosure and to prevent vehicles from being repossessed. Bankruptcy also stops lawsuits by credit card companies, stops other creditor harassment, and also prevents or eliminates wage garnishment. The team at Richard Weaver’s office helps consumers eliminate debts through chapter 7 or 13 bankruptcy. In some cases, the chapter 13 repayment plan allows for you to catch up important, necessary debt balances like past due portions of mortgage debt. We can offer you a “fresh clean financial slate” in many cases. Filing bankruptcy eliminates much or all of your unsecured debt in some cases and this includes such types of debt like medical bills, credit card bills, and “payday” loan debt. Also on the list of those debts which can be eliminated are such debts as the deficiency balances from a repossessed vehicle, broken lease balances, utility bills, toll bills and more. While many unsecured debts can be eliminated, there are also debts which are off limits such as the debt associated with fraud, student loan debt, fees and surcharges from government entities, and a few other debts like IRS debt and child support. 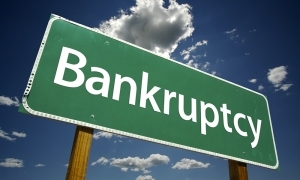 IS BANKRUPTCY YOUR RIGHT OPTION? Deciding if bankruptcy is your right choice will depend on the factors that are specific to your individual circumstances. While wrestling under the choices of your situation and while your debt mounts – let a Fort Worth bankruptcy attorney examine with you the finances and budget items that you are dealing with and review your financial documents. Once your bankruptcy lawyer has done this with you, he will be able to consult with you about some of your best options regarding your financial situation. In order to recommend practical solutions, the attorney will need information and for this reason it will be wise to provide your attorney as much information as possible and not hold back. Bankruptcy is certainly not the right choice for everyone; however, for some people, bankruptcy will be the only realistic option. For those who qualify for a bankruptcy under the Chapter 7 section, unsecured debts can be eliminated, while in Chapter 13 cases, debt is often reorganized to the point that it will allow you to pay back secured and priority creditors and hopefully leave you more room to do so by eliminating or scraping some of the unsecured debt out of the equation of your monthly budget. This debt is often able to be paid off during the bankruptcy’s repayment plan period. When Chapter 7 or Ch 13 petitions are approved through the review by the trustee’s office and the bankruptcy court, a court order known as the automatic stay is put into place and once this is issued, immediately creditors are preventing from foreclosing, filing lawsuits, repossessing cars, or any collection activities at all for that matter. Some creditors flaunt their power by disobeying the automatic stay or simply disregarding the laws of the bankruptcy court. When they do this, the law firm of Richard Weaver & Associates will do more than many other bankruptcy attorneys by holding these creditors accountable in many cases. If the creditors break certain laws or violate the automatic stay in egregious ways, then we can sue them on your behalf and obtain monetary damages for you if you have been wronged. This does not mean that we sue without your permission or even for simply trivial reasons. But if the creditor is being aggressive, we will be happy to work on your behalf to protect you. Some might even consider that Richard Weaver’s office is overly protective of clients in our desire and push to do what is right and to help them receive and experience true relief. This is longtime coming for many clients because they have been harassed by creditors for so long. You could choose bankruptcy following a consultation with experienced bankruptcy professionals who operate under the guidance of bankruptcy attorney Richard Weaver. Our team will seek to answer bankruptcy questions, provide you with actionable legal advice and offer you protection that comes from retaining bankruptcy law firm of Richard Weaver. Texas laws and exemptions differ from other states, and even other districts or divisions of the bankruptcy court can act and operate differently and hence the importance of having a local, seasoned Fort Worth bankruptcy law firm. Not only do we help clients obtain bankruptcy protection in Fort Worth, but we also help clients with the process of rebuilding credit pursuing additional education and learning about finances following bankruptcy. We also assist in negotiations which help our clients succeed following bankruptcy by making sure they understand alternatives to bankruptcy which can sometimes be better options for prospective clients than an actual bankruptcy. If you have been struggling under the pressures of debt in the DFW metroplex and seek the help of a Fort Worth law firm, make the call right away and reach us now at (817) 523-1700. Let Richard Weaver’s office provide you with protection, guidance and encouragement to get you on the path to a better financial future. It is not worth waiting around just to see if things will improve if you do nothing. The situation often gets worse before it gets better and hence we urge you to act.